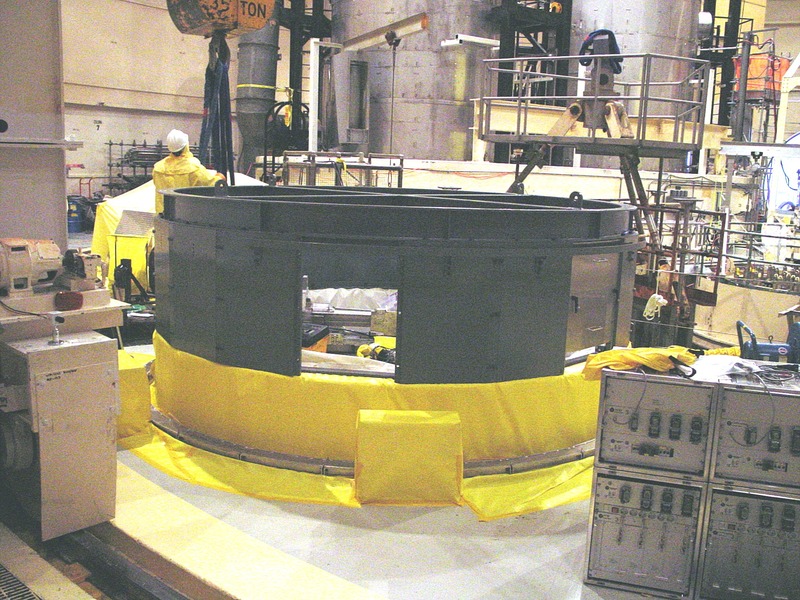 QEP has designed and built several reactor vessel head stands with associated bioshield wall extensions, new head O-Ring support tray assemblies, and supplemental floor risers to allow for the access of inspection and maintenance equipment to the underside of the reactor vessel head. Each plant has its own unique requirements, so each stand and bioshield wall installation is somewhat different. Head stands with a bolt-together design to allow easier set-up in the field. Head stands with either a stainless steel or an engineering plastic contact pad on the top of the vertical posts for the outer head flange surface to rest upon. Head stands have an adjustable stainless steel shim pack under each contact pad to allow for field leveling. Some have intermediate support rails that attach to the "inside" of the vertical posts for a compact approach, some attach to the "outside" of the vertical posts for clearance purposes. Most have been designed to "straddle" existing head stand posts, while some have been designed to be permanent bolt-on extensions of existing posts. Bioshield wall extensions have varied in design from simple interlocking rolled steel plates, to segmented bolt-together flat plate designs, to stainless steel clad rolled steel plates. All have been a minimum of 3" thick A36 steel plate. Most bioshield designs include shielded access doors, HEPA ventilation hose connections, and cable pass-through ports. 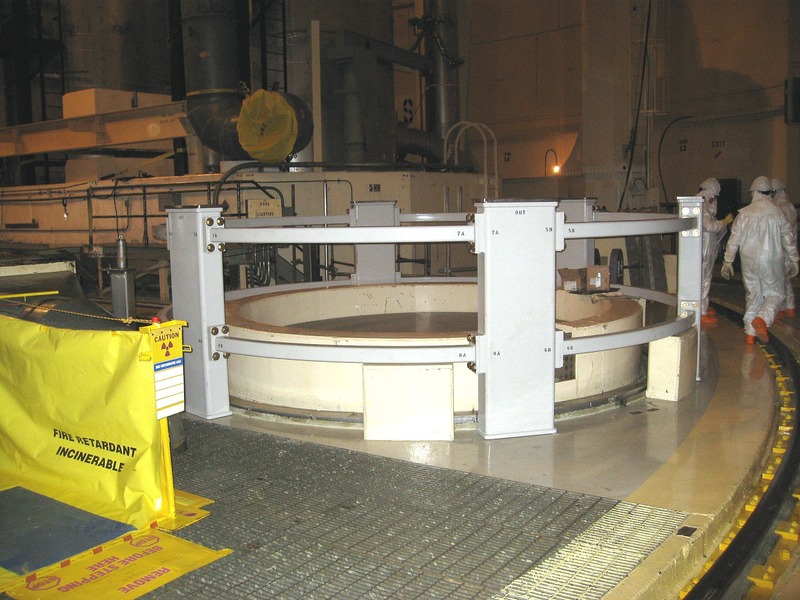 Some bioshield wall designs incorporated an elevated stainless steel O-Ring support tray to make replacing head O-Rings easier with the head in an elevated position.